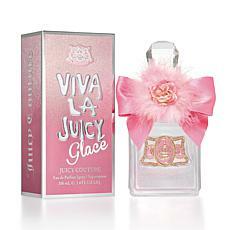 Juicy Couture Viva La Juicy Pure Parfum 3.4 fl. oz. 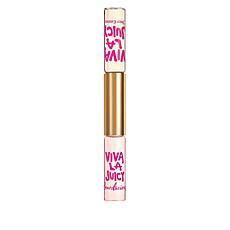 Juicy Couture Viva La Juicy La Fleur 2.5 fl. oz. 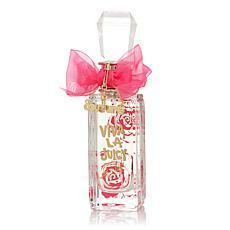 Eau de Toilette Feminine and free ... that's the heart of Viva La Juicy La Fleur! 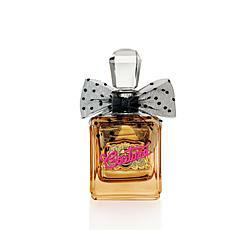 This sheer interpretation of Juicy's signature fragrance is a floral addiction you're sure to fall in love with. Embrace all of life's juiciest moments. 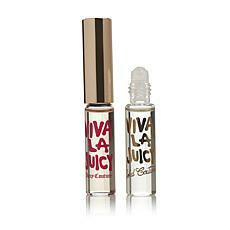 Juicy Couture Viva La Juicy Eau de Parfum Stay out late. Get in a little trouble. Go ahead, have that second glass of champagne. 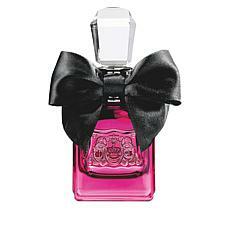 Wild, feminine and free ... Viva La Juicy embodies your inner glamorous bad girl side. Embrace all of life's juiciest moments. 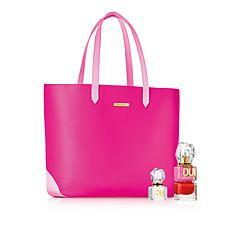 Juicy Couture 3.4 fl. oz. 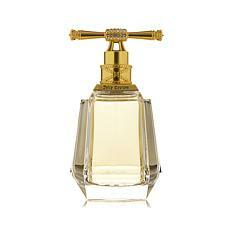 Eau de Parfum You march to the beat of your own drum. Stand out in a crowd? That's so you. 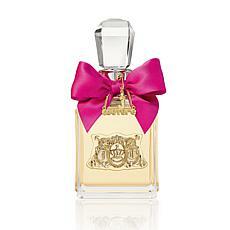 Juicy Couture eau de parfum embodies your cheeky, bold and free aura in the most beautiful way. Embrace all of life's juiciest moments. 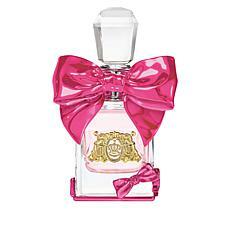 From the hip clothing brand Juicy Couture comes a playful line of women's fragrances and perfumes that will delight your senses. 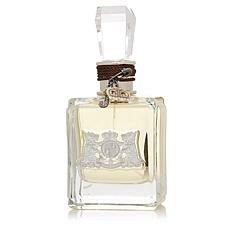 From light and fruity to rich and earthy, you will find your favorite Juicy Couture perfume from HSN's fabulous line of fragrances. Perfect for a summer day sailing the bay with friends, the fragrance of jasmine and rose flowers found in Juicy Couture perfume will blend beautifully with the salt air. 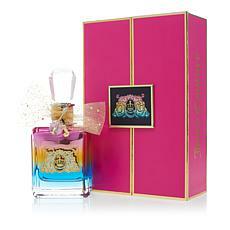 You will smell absolutely yummy as the sea breeze blows over you, mingling with your Juicy Couture perfume. Wear an adorable striped knit top while on the boat for a distinctly nautical look. 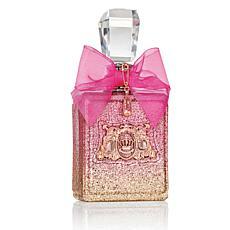 Be mysterious, alluring, and slightly exotic wearing Juicy Couture perfume with the rich scents of amber, sandalwood, and musk. Wear faux-leather leggings and spiky high heels, and spritz this tantalizing perfume over your outfit for a romantic date night. Give your special lady a gift of a three-piece set of her favorite Juicy Couture perfume, so she can carry her fragrance with her and freshen up her scent any time of day or night. 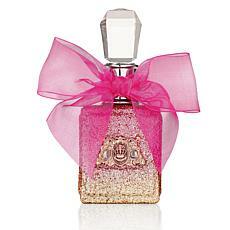 Enjoy all the enticing Juicy Couture perfumes when you shop HSN today.